Best Tuner for Jeep JK Reviews: 5 Top-Rated in April 2019! The 3rd generation Jeep Wrangler is the JK model that was introduced to the market in 2006. The JK was an evolutionary step in the Jeep design, and this design includes all the standards such as a separate body and frame, front and rear rigid live axles, a fold-flat windshield, and can be driven doorless. The Wrangler JK also gives you the part-time four-wheel drive systems, with high and low gearing choice. There is also a four-door model, which comes with an extended wheelbase of 20” instead of 10”, at first it was laughed at, but the market turned on its head, and the four-door became a market success. Jeep decided to cater to the aftermarket taste and created the JK with the least expensive parts so that the enthusiastic owners would not be afraid to replace parts, and even support parts replacement. After all, what’s better? An expensive jeep where you think twice before changing something, or an inexpensive model that lets you go all LEGO over it? Let’s start off with some facts; the new V6 delivers more power at a slightly higher rpm than the old 4.0L inline. This means that on the road your engine will turn at around 700 rpm faster than the inline. In 2012 Jeep introduced the 3.6 Penstar that delivers an extra 85 HP, better MPG, and higher torque than the JK predecessors. The later Rubicon models come with a push-button sway-bar disconnect this give you better suspension articulation and a smoother off-road ride. Add to this the Front and rear lockers, and you and the new rocker guards are cruising with extreme comfort. The 2 doors JK does come with an advantage over it’s larger 4 door brother, the lighter weight and short wheelbase makes it perfect for off-road performance, which it delivers much better than the 4 doors. The 2 doors also don’t tax the engine as much, and the SWB (short wheelbase) gives you a lower turn radius with a better break over angle. As such, the 2 doors JK will roll over tougher and rougher terrain better than the 4 doors. On the flip side, the 4 door Unlimited is a much better road trip vehicle since it comes with longer wheel size, and while the 2 door can climb better, the 4 door has less chance of flipping over due to the longer wheelbase. Also, the Unlimited can tow much better. The JK Unlimited (JKU) has a longer wheelbase (LWB), so it has 4 doors and can tow 1,500 lbs more than the standard 2 doors. The Unlimited has a wider turning radius, so the advantage is for the JK with its SWB design making it much nimbler. The JKU is heavier, so it strains the same engine base as the JK with more need for power and torque. The Rubicon is the top JK model, what makes them special? Well, the come with Mopar accessories, off-road suspension, and a lot of nonstandard stock mods. The Rubicon is also 2.5” higher than the standard JK and JKU, and this is due to off-road accessories which include the springs, shocks, sway bars, links, wheels, tires, and armor. Just to be sure, never buy a tune from an unknown source, and never tune by yourself. 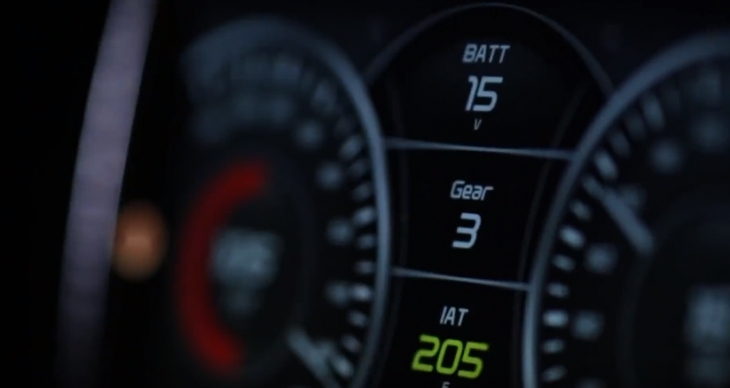 Custom tuning is for professionals that understand the nature of the entire operation; one change can destroy your performance, let alone an entire range of changes. Now let’s take a look at the five best tuners for Jeep JK models. 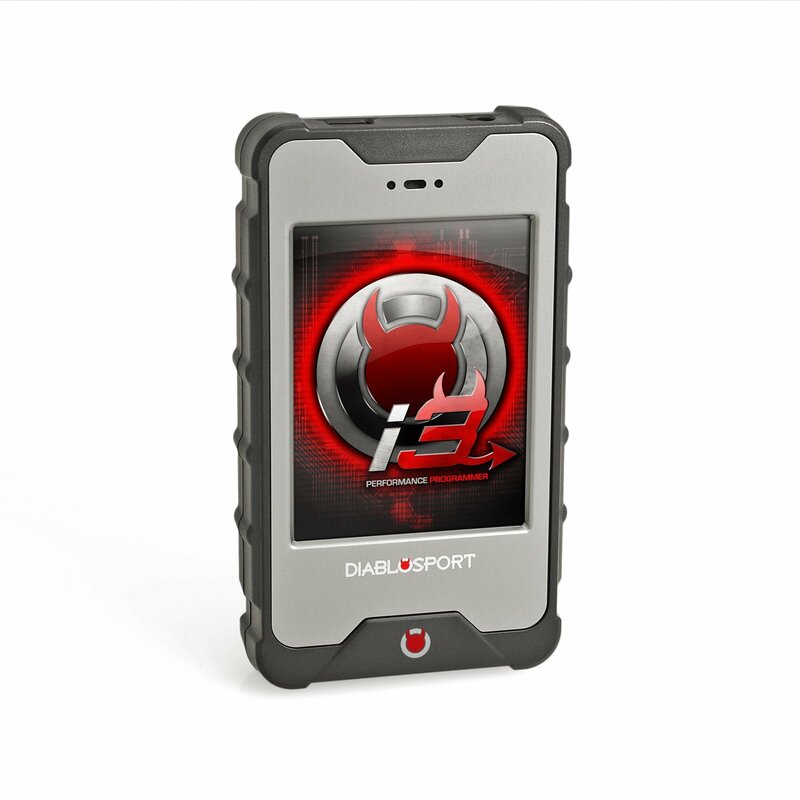 The DiabloSport® InTune i3 Programmer model 8400 is designed specifically for Jeep applications and provides two fantastic preset “canned” tunes. Apart from these two tunes, that deliver that much-needed difference for your off-road applications, you get them in a customizable package that includes the ability to download any number of CMR custom tunes. This model gives you an easy to navigate a touch screen with data logging capability, the ability to read an clear all DTC’s and to calibrate any number of individual performance functions. Apart from using canned tunes, you can calibrate custom tunes including Speedometer for Gear Ratio and for tire size. Throttle booster, Spark Timing Advance Retard, Fuel Rich Lean Adjustment and control the cooling fan. You also get to disable the DSP and play with the top speed and rev limiters. Obviously, I have only scratched the surface of the capabilities of this device. A great performance model delivers classic Jeep JK tunes and will make your Jeep sing as it dances over the hills. This is the DiabloSport® Trinity 2 Platinum Programmer model 9445. This is another Jeep JK model from DiabloSport®, and it also delivers two great performance tunes, but also much more. If you thought the handheld i3 model was something, then wait till you attach this to your dash. This is the comprehensive Trinity 2 EX model, and it doesn’t get more comprehensive and enjoyable than this. 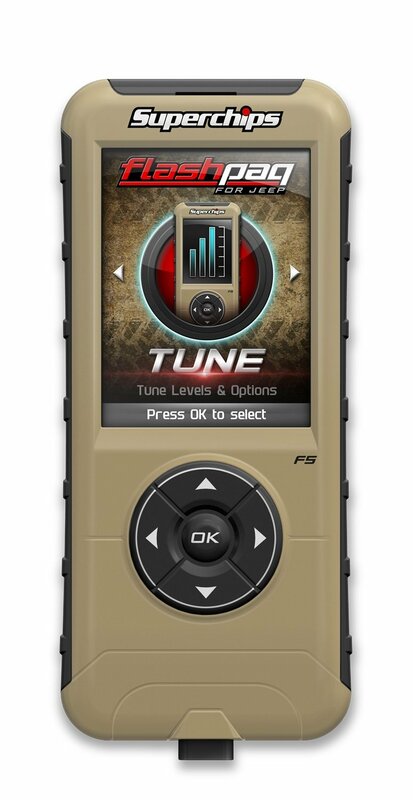 This is the tune freaks model, and it gives you an exceptional 5” touchscreen panel with customizable GUI for on the fly viewing and monitoring, as well as tuning. Everything you get ion the i3 you get here, but here you get more versatility, more control and easier interaction with the data through its amazing screen. The bottom line; if you want to be cool as well as hot, this is the model for both. The ultimate tuner, the ultimate package, and the challenging price. 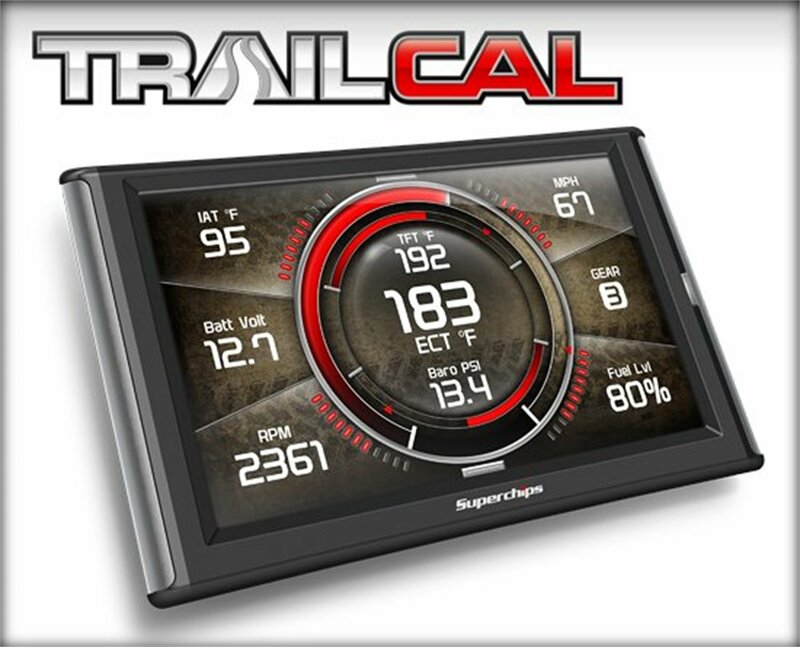 The Superchips TrailDash2 gives you a great 5” GUI touchscreen display with a fully customizable interface and canned tunes too. 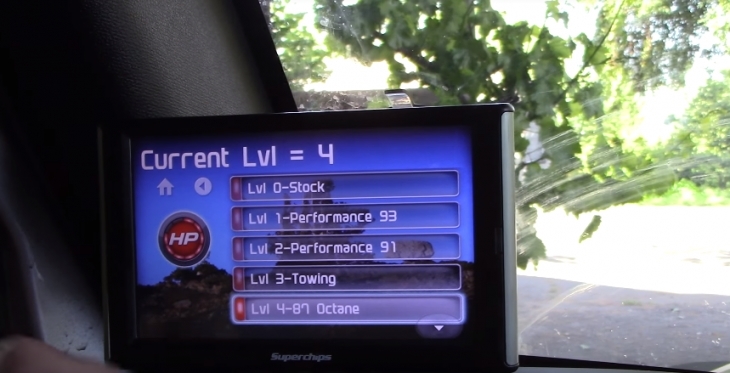 This is a Power Level 3 tune pack that adds + 50.0 HP & +55.0 lb-ft to your jeep. 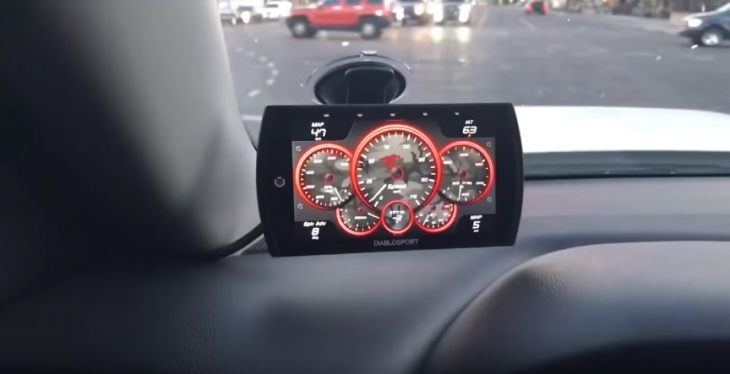 The display is an amazing customizable 5” touchscreen that comes with a plethora of gauges configurations and also gives you an auto-dim feature for ambient light changes. This model is compatible with Expandable Accessory System (EAS), and it also Alerts and Records while sitting in a Custom Pod or mount on your dash. It delivers every possible tune you could download, so your Jeep will always perform the way you want, or you can play with the functions, tweaking where you want for specific aftermarket additions. This is a very GUI friendly device and is actually very popular with the custom the crowd. However, it is priced accordingly, since you are getting an exceptional GUI package which does make all the difference. The Superchips TrailCal 41051 is their Jeep JK bespoke model, in other words, it’s not for all Jeep models, only for JK. 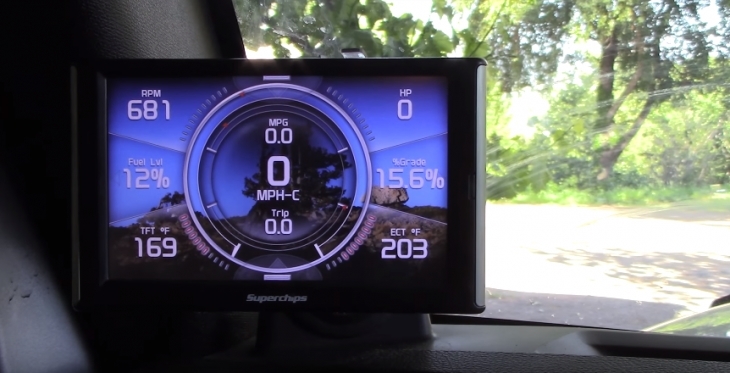 While this model delivers all the same functionality as the Superchips TrailDash2, it does one better for the JK owner; it only delivers JK tuning. As such, you are enjoying a bespoke performance that is really the top of the game. You get the classic 5” high definition touchscreen that gives you a Custom Color Mixer for Gauge Arcs, Needles, and Backgrounds. 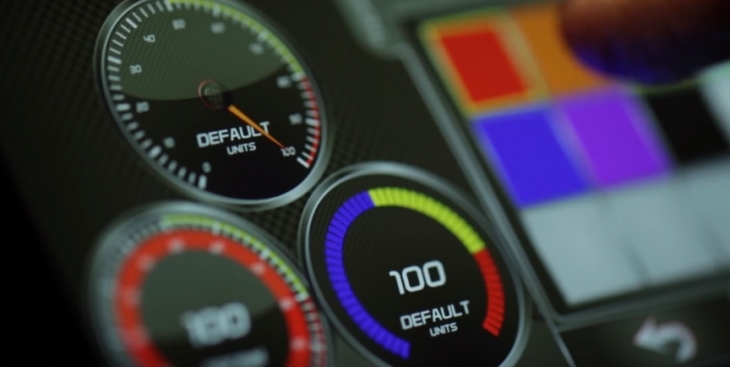 You can create Multiple Gauge Screen Layouts as well as set your own Customizable Background. This model has one Simple HDMI Plug for Power and comes with Inclinometer gauges. There is Easy Menu Navigation, and you can set up the Maintenance Manager to schedule and track maintenance, as well as set up Performance tests. It reads and clears trouble codes, and the monitor includes video input as well as operate with other camera accessories. This is the Superchips supermodel, it comes with a super price too, but if you have a JK and want something you don’t need to worry about, such as making sure you have the right tunes, then this is the model you want. 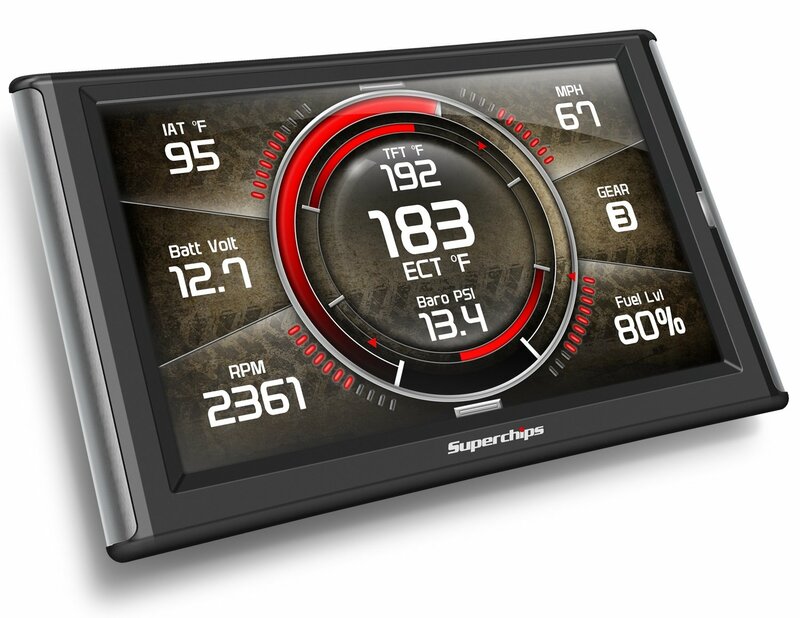 The Superchips Flashpaq F5 Series Performance Tuner model 3874 Power gives you a specific tune for Level 3: + 24.0 HP & +28.0 lb-ft., and comes as a handheld model with an easier price tag. 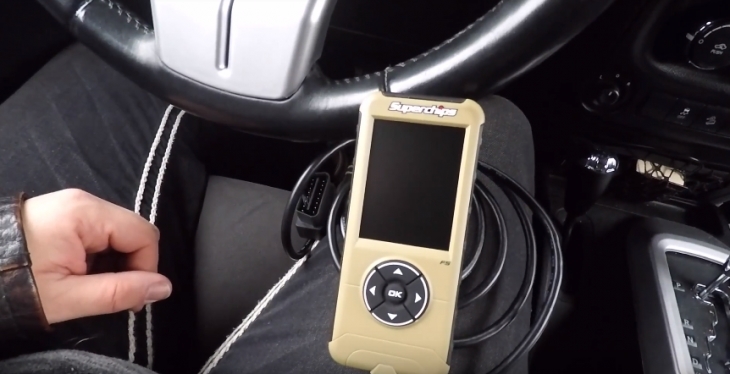 Not all Superchips models are expensive; this is their Flashpaq F5 handheld model that gives you a basic handheld interface with a smaller GUI. This model comes with JK only tunes. The screen is a basic 2.8” LCD with handheld navigation buttons for changing views. It is internet updateable and provides a lot of features, but not as much as the TrailCal. 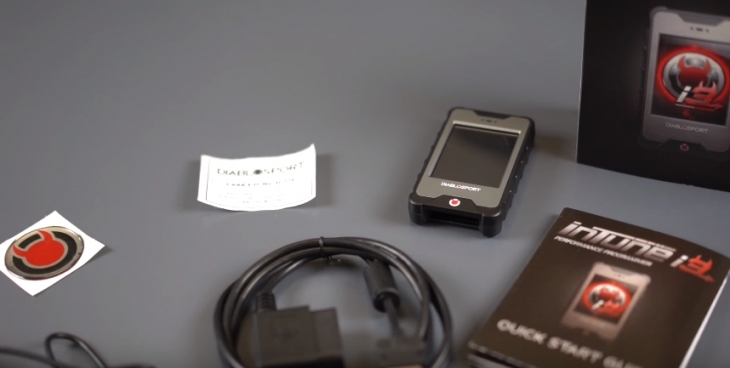 This is a classic easy to use the device, for newbies to the scene that just want a quick tune up with no complexities. This model will give you a speedometer recalibration for gear and axle swaps up to 5.38, as well as engine idle adjustability for winching. 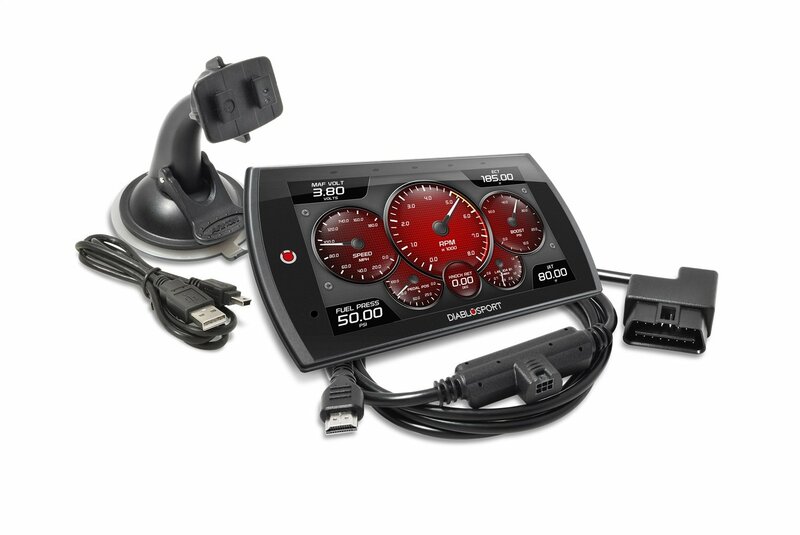 It comes with a speed limiter and reads and clears diagnostic trouble codes. There are plenty of tunes to choose from, including an economy tune, a performance tune, and a tow tune. This is a great little package, well worth the initial investment and it will deliver great results Just make sure your Jeep is a JK and all will be fine.